I am a huge fan of meals that come together quickly, and it’s even better with a recipe calls for only a few ingredients. For years I thought being a Vegan meant spending lots of time in the kitchen, prepping ingredients, trying to be creative in making fancy dishes that will appeal to everyone in the house. As Mr. Beet and I eat more healthy we have found it quite easy to find Vegan dishes that require little effort. Like this 2-minute 3-ingredient chickpea mash. 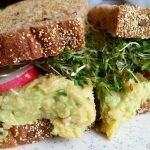 I find most of my inspirations for simple Vegan and Vegetarian meals from Pinterest. Pinterest has allowed me to see how simple it can really be to eat a mostly plant based diet. 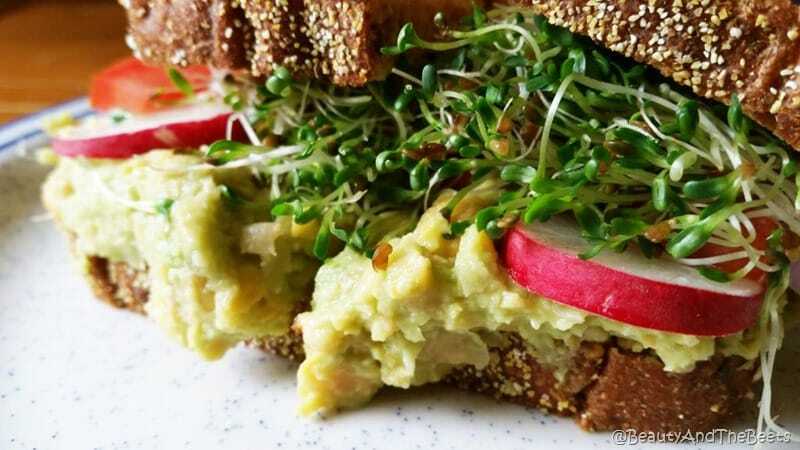 And while veggie sandwiches can sometimes get so boring and mundane, sometimes the right ingredients can make a huge difference. This is an incredible 3-ingredient recipe for Chickpea Mash. It was ready in seconds and it filled both Chad and I up for a healthy and satisfying dinner. While I have been making this for years, we never tire of it. And the chickpea mash can be dressed up or down. Add tomatoes or onions for a little more punch. Add fresh herbs for a little more flavor. 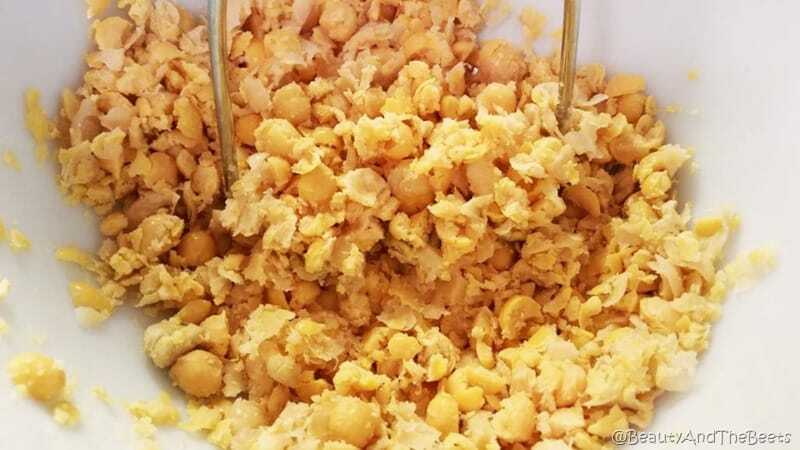 Rinse and drain a can of chickpeas, then use a potato masher to break the chickpeas apart a bit. 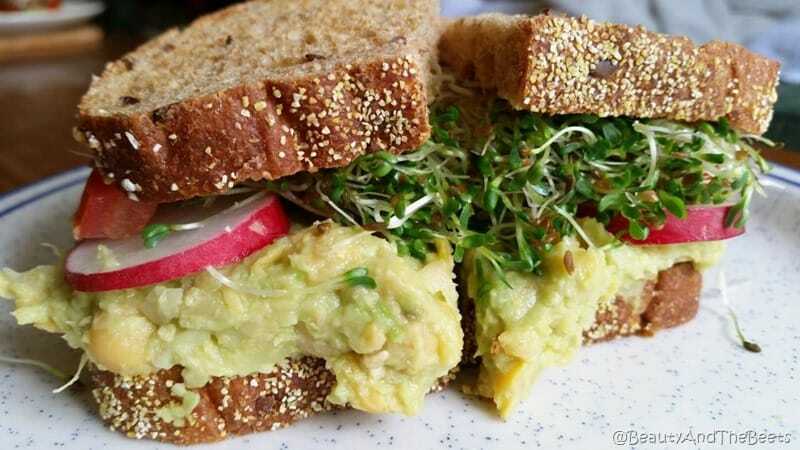 Cut the avocados in half and remove the pits. Scoop out the avocado flesh and add to the bowl of chickpeas. Begin to mash the avocado into the chickpeas, again leaving slightly chunky. Add the lemon juice and mix into the chickpea mixture using a spoon. Serve immediately or cover and refrigerate. When we were ready to eat, I lightly toasted some bread and generously spread the chickpea mash onto the bottom bread. I then layered radishes, tomatoes, onion slices and sprouts on top of the mash. 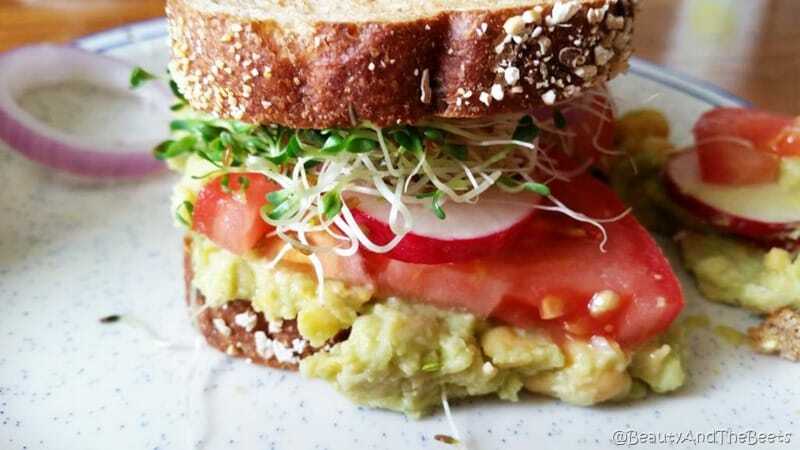 Spread this chickpea mash on lightly toasted bread, add radishes, tomatoes and alfalfa sprouts and top with another slice of bread for a very simple but hearty sandwich! In a medium sized bowl mash the chickpeas with a fork or a potato masher, leaving slightly chunky. 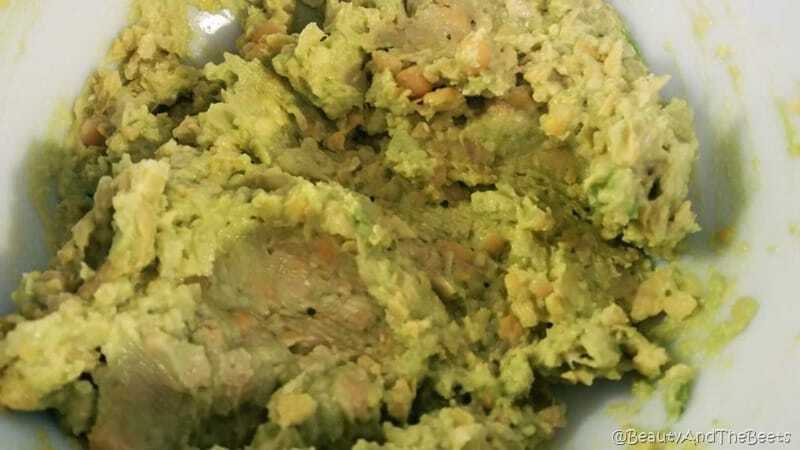 Begin to mash the avocado into the chickpeas, again leaving slightly chunky. Add the lemon juice and mix into the chickpea mixture using a spoon. Serve immediately or cover and refrigerate. 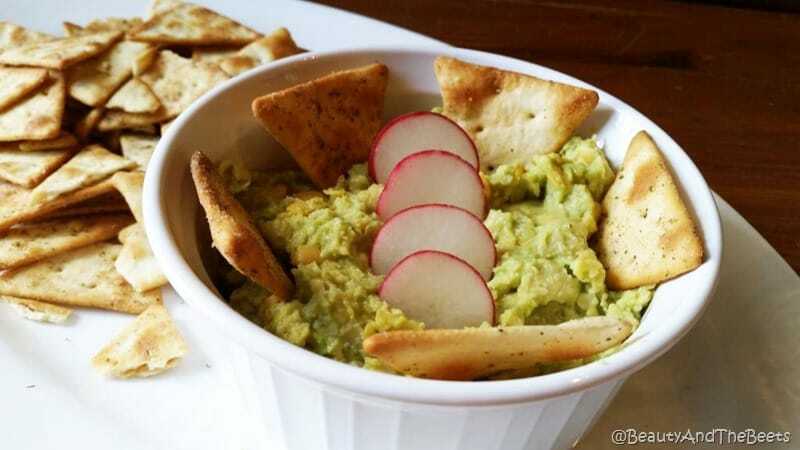 Serve as a spread on sandwiches or as a dip with pita chips and veggies. The next day we used the chickpea mash as a dip for fresh cut veggies and pita chips. Do you have a favorite easy to prepare Vegan or Vegetarian dish? Tell me in the comments below. Being vegetarian, mostly vegan has changed me in ways I’ve never expected. I’ve learn a lot through research, documentaries, and my own experience. Great blog, and thanks for sharing! Thanks for leaving a comment Emily! It is so easy to make and so versatile! We just love it.